Global chemical production continues the year on a sluggish note with February witnessing a modest uptick in production on lower capacity utilization, according to the recent monthly report from the American Chemistry Council (“ACC”). The chemical industry trade group said, on Friday, that the Global Chemical Producing Regional Index ("CPRI") rose a paltry 0.1% in February on a monthly comparison basis, following a 0.2% growth in both January and December. The Global CPRI, which is measured using a three-month moving average, measures chemical production volumes for 33 major nations, sub-regions and regions. It is comparable to the Federal Reserve Board (“FRB”) production indices. Capacity utilization for the global chemical industry eased 0.2 percentage points to 83.1% in February. Utilization fell from 84.8% a year ago. By regions, February saw higher production across Europe and Africa & the Middle East. Output was flat in Latin America and Asia-Pacific while declining in other regions. On a segment basis, growth was witnessed in inorganic chemicals, bulk petrochemicals and organics plastic resins, manufactured fibers and other specialties for the reported month. This was offset by softness across agricultural chemicals, consumer products, synthetic rubber and coatings. Per the ACC, chemical production in the United States went down 0.7% on a monthly comparison basis in February. This follows a 0.4% sequential growth a month ago. Output also fell 0.7% in North America for the reported month on declines across the United States, Canada and Mexico. The chemical industry is among the industries that have been badly hit by the bitter year-long trade spat between the United States and China. Especially, the U.S. chemical industry is caught in the crosshairs of the trade conflict. Washington and Beijing levied billions of dollars in punitive tariffs on each others’ products last year. China’s list of U.S. goods hit with tariffs includes an array of petrochemicals, specialty chemicals and plastics. According to the ACC, the United States has levied tariffs on $15 billion worth of imports of chemicals and plastics from China, with Beijing retaliating with duties on $11 billion in U.S. exports of chemicals and plastics to China. Although recent negotiations between the world’s two biggest economies have raised hopes of a possible resolution of the trade tiff, the tariffs currently in place are already doing damage to the chemical industry. China is one of the biggest export markets for U.S. chemicals and, thus, leaves the American chemical industry heavily exposed to Beijing’s countermeasures. The trade tariffs have created an uncertain demand environment for U.S. chemical products in China. The tariffs are hurting U.S. chemical exports and the competitiveness of the American chemical industry. Notably, the trade friction has led to a slowdown in demand in the automotive market (a major chemical end-use market) in China. Per the ACC, China’s tariffs on U.S. chemicals and plastics exports have put roughly 55,000 American jobs and $18 billion in domestic activity at risk as a result of lower demand for those products, which would lead to considerable losses for U.S. manufacturers. The ACC estimates that the loss to U.S. chemical and plastics exports to China could reach as much as $6.1 billion annually. There is also concern that the tariffs may dampen new chemical investment in the United States. The tariffs have raised fears that chemicals companies would reconsider their investments in new projects, which could lead to a slowdown in growth in the U.S. chemical industry. Export markets are expected to contribute to the growth of the American chemical industry in 2019. Thus, a potential U.S.-China trade deal would provide a much-needed respite to the U.S. chemical industry. 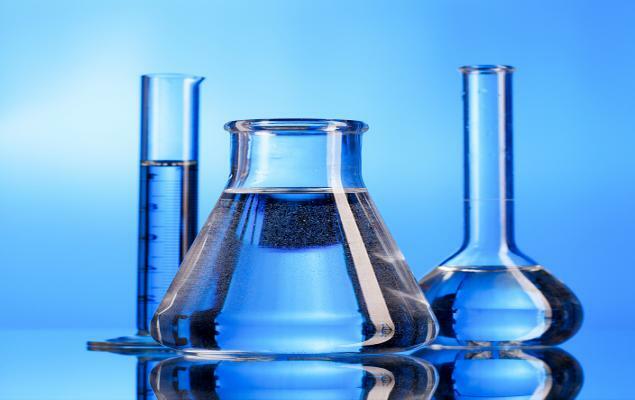 A few stocks currently worth considering in the chemical space are Ingevity Corporation (NGVT - Free Report)	, Innospec Inc. (IOSP - Free Report)	, Shin-Etsu Chemical Co., Ltd. (SHECY - Free Report)	, W. R. Grace & Co. (GRA - Free Report)	and Flexible Solutions International Inc. (FSI - Free Report)	. Ingevity, Innospec and Shin-Etsu Chemical sport a Zacks Rank #1 (Strong Buy), while both W. R. Grace and Flexible Solutions carry a Zacks Rank #2 (Buy). You can see the complete list of today’s Zacks #1 Rank stocks here. Shin-Etsu Chemical has an expected earnings growth of 16.3% for the current fiscal year. Earnings estimates for the current year have been revised 2.5% upward over the last 60 days. W. R. Grace has an expected earnings growth of 10.4% for the current year. Earnings estimates for the current year have been revised 3.2% upward over the last 60 days. Flexible Solutions has an expected earnings growth of 171.4% for the current year. Earnings estimates for the current year have been revised 46.2% upward over the last 60 days.